Cordura is a tough, durable and tear-resistant nylon that is used extensively in military clothing, motorcycle jackets, outerwear and backpacks. Although tough, this fabric can be dyed using an acid dye, like Rit Dye. In order to achieve the color that you'd like, you'll need to dye the Cordura in almost boiling water. Dyeing the fabric in warm water will not give you the same results. Keep in mind that you will only be able to dye the fabric darker than the color it already is. For brilliant colors, start with white or off-white Cordura; but if you want to dye the fabric dark brown, dark green, navy or black, any color Cordura lighter than black will work just fine. Pour two packages of acid powder dye into a medium-sized bowl. Two packages of powder dye will be enough to dye a large motorcycle jacket, outerwear or any fabric that weighs up to two pounds. If your Cordura is smaller than a motorcycle jacket or winter coat, you can halve the dye "recipe." Add two cups of hot water to the medium bowl to dissolve the powder dye. Fill the stock pot with six gallons of water, then pour the dissolved dye into the stock pot. You will want enough water and enough room in the pot for the fabric to move freely. If the fabric will not be able to move freely, you can dye the fabric in your washing machine on the hottest setting. 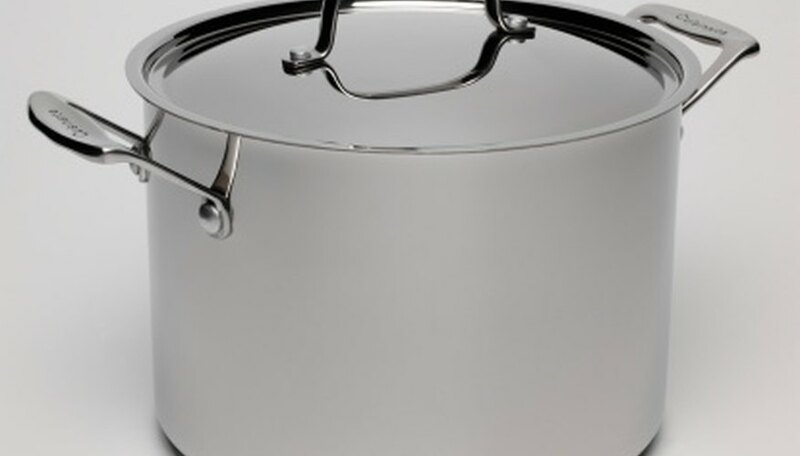 Place the stock pot onto a large burner on your stove top. Turn the burner to medium-high, and place the thermometer into the water. You want the water to be about 200 degree Fahrenheit. Soak the Cordura fabric under water. Uncrumple the fabric, and place it into the simmering water. Stir the fabric constantly with a stainless steel spoon for 30 minutes. If the color of the fabric is not as deep, dark or bright as you'd like it to be, leave it in for 50 minutes. Remove the fabric from the dye bath and rinse it under lukewarm water, then rinse the fabric under cool water until the water runs clear. Lay the fabric flat to dry, or use your dryer for quicker results.